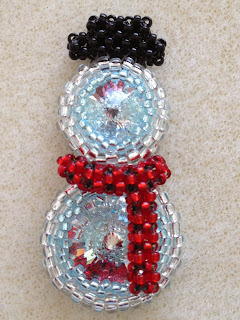 Today I am going to share with you the beaded snowman I designed. I had a lot of fun making him and he is not that hard to make. It does help to know how to do a Cubic Right Angle Weave (CRAW). You have to really think 3-D when you are doing it but once you get the hang of it it goes really fast. I had made about a dozen of these for the craft sale. And I've made a few more since. I have a few finished ones I will be putting in the web store too but today it's just the pattern for sale. You can purchase it in my web store. 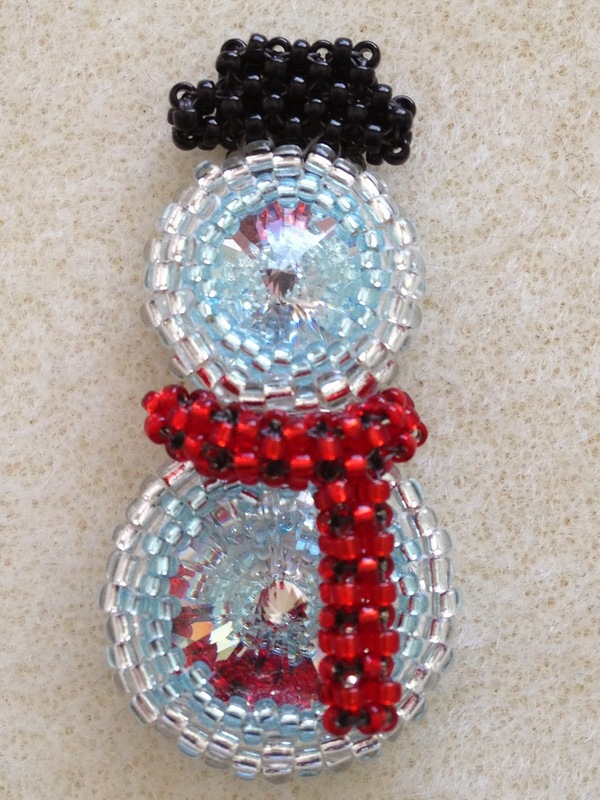 The snowman measures approximately 1-3/4" tall by 7/8" wide (at the bottom body part). If you have any problems getting the pattern in the web store, please email me. I use PayPal for payment.